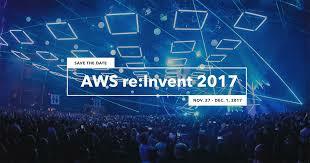 The keynote of the AWS re:Invent show has become a firehose of new announcements and new technologies. This year was no different. But instead of focusing on the laundry list of new features or services, I wanted to focus on one specific aspect of several of the announcements. When AWS Lambda (e.g. “Serverless”) was announced in 2014, it opened two discussions. The first was focused on how this new, lighter-weight programming paradigm would be used. The second was that the usage of this service didn’t require (nearly) any operational involvement, from the perspective of planning the underlying infrastructure resources (capacity, performance, scalability, high-availability). In essence, it was truly on-demand. The third was the beginning of extremely granular pricing model, which is truly pay-per-usage and not pay-per-start-the-instance. During the keynote, AWS made several announcements that appear to extend the concept of “serverless-style operations” to non-Lambda AWS services. In particular, both Fargate and Aurora Serverless are helping to remove the concerns of the underlying infrastructure planning from more complex services – Kubernetes/Container Cluster Management, and Database Management. AWS is by no means the only cloud provider that is starting to drive this trend. Azure has a service called “Azure Container Instances” that does something similar to AWS Fargate. Google Cloud Platform has several data-centric services (e.g. Big Query, DataFlow, DataProc, Pub/Sub) that don’t require any planning of the underlying infrastructure resources. These new (or enhanced) services shouldn’t be confused with the Serverless or Functions-as-a-Service development paradigm. But they do begin to show the beginnings of what many in the Serverless community are beginning to called “DiffOps” (or Different Ops). It’s not the all-or-nothing claims of “NoOps”, but it’s a recognition that the requirements of Ops teams has the potentially to significantly be changing with these new services. And what that DiffOps will be is still TBD. We discussed it briefly on The Cloudcast with Ryan Brown a few weeks ago. For Enterprise Architects and Operations teams, this will definitely be a trend to watch, as it has the potential to significantly change or disrupt the way that you do your day-to-day jobs going forward.